Unfortunately for those in California, while you can get your munchies delivered by drone, it won’t be the same for your weed. While you can get your munchies delivered by drone, it won’t be the same for your weed. Unfortunately for those in California, the Bureau of Cannabis Control has said “no” to an autonomous delivery of weed, meaning canna-businesses won’t be able to make the most of future tech – just yet, anyway. Now that California voters have legalized recreational cannabis, state regulators are adopting distribution rules and associated laws ahead of the January 1, 2018 deadline to begin issuing retail licenses. But there is one particular area that is being left out, which is the autonomous sector, despite the fact you have a pizza delivered by drone. That’s because the California Bureau of Cannabis Control is forbidding the delivery of your favorite herb by an autonomous vehicle, no matter if it’s in the sky or on the ground, too. According to the emergency regulations unveiled last Wednesday by theCalifornia Bureau of Cannabis Control, the “[T]ransportation may not be done by aircraft, watercraft, rail, drones, human-powered vehicles, or unmanned vehicles,” which means you won’t be able to have it by drone or JetSki, either. To put that into perspective, in California, you can have your prescription drugs delivered in the mail. But Californians won’t be able to have their weed delivered by a drone – a human-driven car must do it. To put that into perspective, in California, you can have your prescription drugs delivered in the mail. 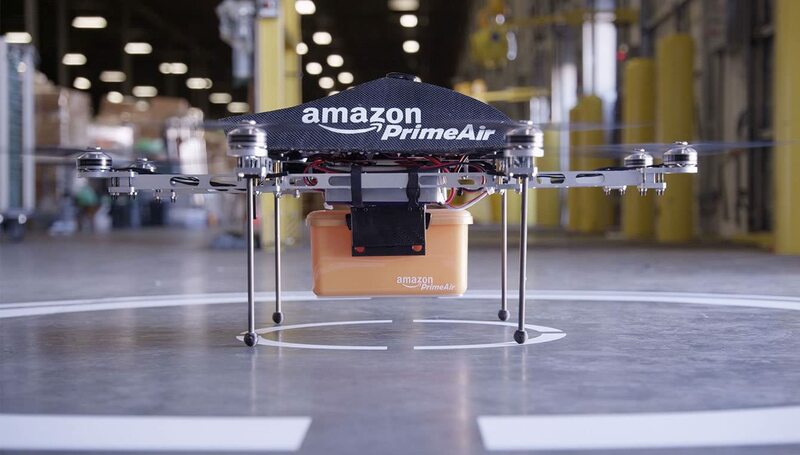 But Californians won’t be able to have their weed delivered by a drone – a human-driven car must do it. Deliveries may be made only in person by enclosed motor vehicle. Cannabis goods may not be visible to the public during deliveries. Cannabis goods may not be left in an unattended motor vehicle unless the vehicle has an active alarm system. Vehicles used for delivery must have a dedicated, active GPS device that enables the dispensary to identify the geographic location of the vehicle during delivery. 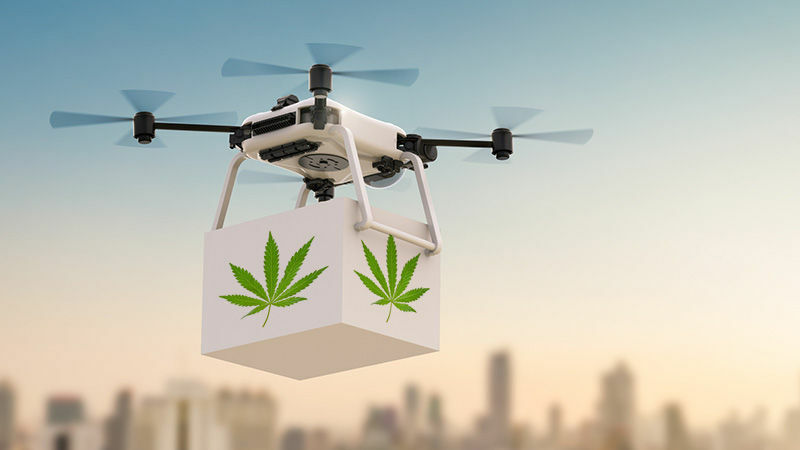 It’s not disappointing for users, either, since there are some start-ups – such as MDelivers, Eaze, and Trees Delivery – that have promised or demonstrated autonomous drone delivery of weed. That’s why anyone looking to get started in the cannabis industry should become familiar with the bureau’s Commercial Cannabis Business Licensing Program Regulations, which is also online. It’s not just in California, or weed, though, as the other states that have legalized recreational weed are not expected to have an autonomous delivery sector. That’s not due to any cannabis bureau, but the federal aviation laws, which require aerial drones to fly within a pilot’s sight. So, even if those rules do changed -which is something Amazon and other online retailers are pushing for – local governments and states might still regulate how legal weed is distributed.